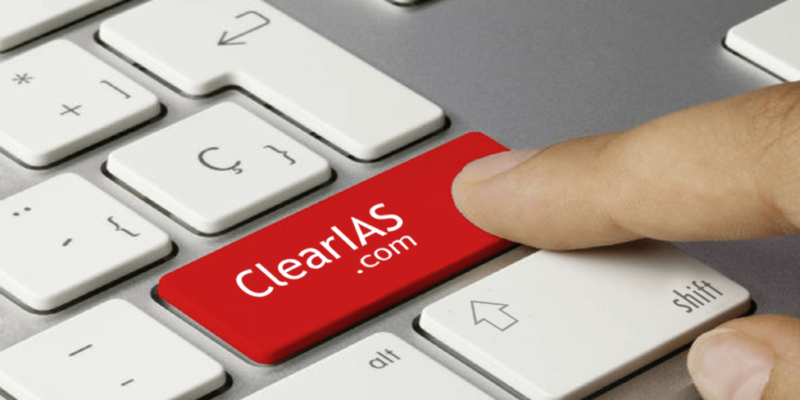 This is question set #3 of ‘ClearIAS UPSC CSE 2016 Mains 30-day Answer Writing Program (AWP)’. 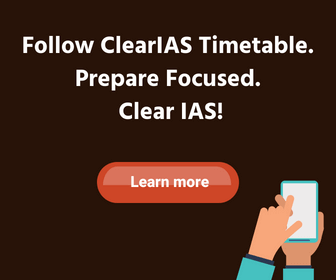 AWP is a UPSC mains oriented program from ClearIAS.com that consists of 5 questions in each post, published (around 8 pm) every day. Each of the 5 questions are selected from 5 papers mentioned in UPSC Mains syllabus namely Essay, GS1, GS2, GS3 and GS4 (ethics). Browse archives here. Please write the question first before you start answering, so that it would be easy for us and other readers. Also, if you are uploading answers via Google Drive, upload only one link (one answer) in one comment space. Sir is there any possible option by which we can upload answers directly here?.. It would save our time and efforts.. Thank you sir for such a nice initiative..
@kkavad: Thank you for the feedback. You may try uploading to Google Drive, and that wont that much time. At the moment, we are not thinking about direct uploading option to avoid cluttering of the comment space. q4.Morality is simply the attitude we adopt towards people who we personally dislike’. Critically analyse the statement. Ans.Morality is defined as individualistic values to differentiate between good and bad.Whenever we see any object,thing,or event we develop some kind of attitude towards that object.This attitude can be positive or negative.A moral person always develop positive attitude towards things.For instance-a person who is immoral will develop negative feelings for people whom his/her dislike.While moral person will even have positive attitude for them. Morality play very important role in civil services.public officials possess huge resources at their disposal and if they lacks morality it can hamper trust of people.for instance-If a civil servant dislikes a sarpanch of village and his disliking if hampers allocation of funds for development ,will result in impacting welfare of people. @Manoj: This is a general answer on morality. This is not the crux of the question. Keep writing. You can improve. Morality is the set of individual commitments. it is s dynamic concept and changing time-time depending upon the factors like environment, individual values, family,peer pressures, education,experiences ,current circumstances etc. This morality influences the attitude which frames the ideas or beliefs about other persons. The development of attitude is not always associated with dislike. It is also developed even in like. Generally, it is those above factors that form the attitude. When we get good information about the people during interactions or reading through or getting information from others etc. about his/her good morals like sacrifice, honesty, dedication then we develop a positive attitude about them. Eg. on reading books about Gandhiji, though not contemporary to him there is a possibility of developing a positive attitude about him and this attitude used to frame similar attitudes towards similar personalities in the same field…i.e. respecting the freedom fighters. Similarly when we get negative information about people and their morals not accepted by the society then we get a negative attitude about them. Eg. negative attitudes towards politicians , killers etc. Developing positive attitude even though in unfavorable situations is necessary for the greatest good of the society in ensuring peace and order. @Vijay: This is a general answer on morality. This is not the crux of the question. Keep writing. You can improve. ‘GST will change the way India does business’. Analyze this statement. Which sectors do you think will be positively affected by the implementation of GST? Goods and services tax- the revolutionary economic and much needed economic reform intended to simplify the indirect taxes regime by subsuming all central and states levied indirect taxes such as excise duty, sales tax, octroi tax, value added tax and others under the common and single head. 1. Uniform taxation structure- across goods and services. This simplified taxes along with simplified administration would improve the ease of doing business in India. 2. Single market structure ; results in promoting the cooperative federalism . 3. Widening of tax base and eliminating the cascading of taxes result in enhancing investors confidence on Indian economy. 4.promtes equal and healthy competition among the states and can reduce inter-state disparities in economic development. 5.Increases the tax compliance by promoting the transparency in transactions which ultimately generates greater economic revenue to the government. The above merits result in enhancing the international business and economic competitiveness by improving the competitiveness index. Sectors like E-commerce, Telecom, Automobile, Transport sector, Cement industries are among the prominent sectors to be boosted by the GST. Grievance redressal mechanism ( GRM) is the mechanism that allows the aggrieved persons to get natural justice. 1.ensuring the effective and efficient justice rendered to the affected. 2.Making the administration accountable to providing service delivery. 3.Improving the people-participation in the democracy. 4.Promoting the values of fairness , objectivity in citizen redressal decision. 5. To reduce corruption and other unethical practices in the administration. For any democracy to survive it is essential that the aggrieved to be provided with the justice without any hindrance and interferences. Because this would ensure the apathy would not turn into bigger tides against the democracy itself. When the redressal mechanism fails then it results in erosion of public trust and promotes resentment and discontent towards the government and the whole system would begin to crumble one by one. This affects the democracy . Therefore it is essential to uphold the constitutional values like justice, fairness, objectivity for the benefit of society and democracy. Good answer. You can give examples where democracy failed when there was no adequate grievance redressal mechanism. Dear sir; please review my answer and give marks to them. Thanks. You understood the crux of the question, but could have presented the answer better. Ans) Bhagat Singh is one of the most influential figures of Indian National Movement. He is a stellar example for bravery and his fight for freedom was with a broader vision. Bhagat Singh’s bravery was a source of inspiration for people of all ages ,especially youth during th freedom struggle which is continuing even today. All these speaks volumes about his bravery which enables the masses to fearlessly face the British and ultimately threw them out of India. Bhagat Singh’s idea of freedom struggle was very different from other leaders and communalists. He fought for freedom of Indian society from both insiders(British) and insiders(landlords,capitalists,moneylenders etc). He aspired for a society with egalitarian, secular and socialist ideology. This is evidenced from the establishment of Hindustan Socialist Republican Association(HSRA) and Punjab Naujavan Sabha. Thus Bhagat Singh’s bravery and his broad vision about free India are still relevant today. Good attempt, but the important aspect of the question was touched only in the last paragraph – that too only in 2 sentences. You should have elaborated this aspect much more. ans) Grievance redressal mechanism is of utmost importance in democratic countries for sustaining healthy democracy. Without a safety valve in the form of grievance redressal mechanism to flush out the public grievances regarding government services may result in the withdrawal of support and loyalty towards the government by the public coupled with mass agitations. This is obviously bad for a healthy democracy. Thus, it is imperative for a democracy to have proper grievance redressal mechanisms to sustain the system. The average citizen wants sympathetic, courteous and helpful administration from their democratic government. Answer is good on its own merit. but I think its an answer to a diff question. Address why and how it is significant for SUSTENANCE of democracy: u can include ideas like participatory democracy; People are supreme in democracy; prevent nepotism; poor people with no social capital need some alternatives etc.. etc.. You are good enough to think of more points. Q) The grievance redressal mechanism in a democratic set up is important for the sustenance of the system itself. Comment. Ans: A democratic system is often referred to as a system by the people and for the people. This implies that a grievance redressal mechanism, wherein common people can express their grievances against the state that represents them, lies at the heart of this set up. i. Citizen’s charter – It is an undertaking by a government organisation to provide timely, appropriate and effective services to the citizens according to its mandate. This requires putting the rights and needs of citizens as its utmost priority. ii. Information & Facilitation Counter – This aspect of a GRM provides citizens with the right to information so that the government can be held accountable to the people. It also facilitates information regarding the policies and programmes of the government. iii. Prompt and Effective Redress of Grievance – This includes fixing responsibilities in case of delay, default or dereliction of duty and taking appropriate action against the concerned personnel. Once again, this helps create accountability between the people and the government. Thus, an adequate platform to register complaints and effective redressal of the same would go a long way in building trust and cordial relations between the people and the state. Consequently, this brings peace and progress as well as stability to the government, which is one of the emblems of a strong democracy. @Ramanan: As passerby rightly noted, this is an excellent answer. Good grasp of the question. Try to be brief, as you wont get time to write this much detail in actual exam. Some sentences in the into and conclusion could have been avoided. Good answer. You can give examples where democracy failed when there was no adequate grievance redressal mechanism. Also address why and how it is significant for democracy. For example – poor people with no social capital need some alternatives etc (as noted by Passerby). Also try to avoid sentences which wont bring any additional value to your answer. This would help to reduce length and save time. Bhagat Singh was a young revolutionary who waged a war against the British rule under the aegis of Hindustan Socialist Republican Association (HSRA). Early years of his foray into the revolutionary movement are replete with acts of individual heroism and assassination, like the killing of Saunders and the Legislature Bomb incident. Although his main aim was to overthrow the Imperial British Govt, but his overall objectives were much wider. 1. Socialism – He wished to establish a socialist order where no man could exploit another man. Exploitation is exploitation, whether done by a Britisher or an Indian. 2. Secularism – Communalism was considered as big an enemy as colonialism. He even denied membership of his organisation to the youth associated with communal organisations. 3. Rationality – Bhagat Singh was himself an atheist and wanted the youth to question the religious ideas and dogmas. He believed that one has to reason out every nook and corner of the prevailing faith. The above points are a testimony to the fact that there is much more to Bhagat Singh than just his acts of bravery. The current and future generations would do well to adopt and implement his ideas and values. The basic principle of grievance redressal is that if the promised level of service is not delivered or if the right of a citizen is not honoured, then the citizen shall be able to get the grievance redressed. 1. It helps maintain the faith of the people in the administration. 2. Manifests the constitutional ideals of equality and justice. 3. Keeps under check the secessionist tendencies, militancy and naxalism, which have been the bane of our democratic setup. A democratic government, being a service provider, is bound to meet people’s needs and aspirations. 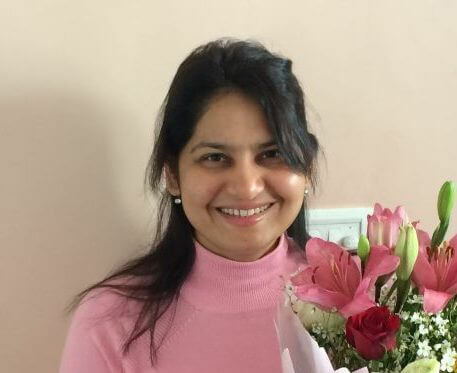 Second ARC had also recommended the setting up of a “Local Body Ombudsman” to address grievances of people against the local bodies, which command huge financial resources. The Supreme Court in Prakash Singh case had recommended the setting up of Police Complaints Authority at the district and state levels to look into the complaints against police officials. The institutionalisation of grievance redressal mechanisms is the need of the hour. ‘Morality is simply the attitude we adopt towards people who we personally dislike’. Critically analyse the statement. Morality is a highly personal virtue. Since it is guided by personal experiences than societal ethics, it varies from time to time. It is always easy to be moral with the persons you like. Helping persons in needy is a moral to many. Many are forthcoming to help their friends in need of cash, but when it comes to a beggar, sometimes you turn a blind eye. Such uncomfortable situations are really a test of the moral character. Morality is a function of lot many things, ranging from religion to politics. Hence it varies. An example to this is selective condemnation of violence. Nawaz Shariff in his UN speech, condemned terrorists of all forms, but was silent of the death of Indian soldiers. A person must be true to his moral ideals no matter what. This will help in maintaining integrity and abjuring hypocrisy. This enables one to judge situations on merit, which of course has a personal ranking criteria. Gandhiji condemned British violence only as much as he condemned murders by Bhagat Singh, no matter what intentions the latter proscribed. Men of today must learn from such great leaders who used sound moral principles to aid their activity. This can help in one being integral, unwavering and avoid hypocrisy. In the question the term ‘morality’ is simplified or ‘oversimplified’ as the the attitude we adopt towards people who we personally dislike. As the question is to critically analyse, you just not need to fully agree to this statement. But at the same time, you should try to bring what the quote is trying to draw our attention to. Bring examples to show that often our moral standards are overshadowed by hyprocrisy. Moral standards are not universal and the same is true regarding its application also. You rightly connected avoiding hyporcisy with this question and gave good examples like that of Nawaz Shariff to prove your point. But we feel, you could have brought more clarity to this answer. A definition of morality in the introduction too would have helped. As ClearIAS rightly pointed out, the ques says critically analyse, so mainly the anti-viewpoint had to be brought out. But still impressive. Examples were very good. Lot to learn from you. Q5 ‘Morality is simply the attitude we adopt towards people who we personally dislike’. Critically analyse the statement. @Shiyaz: Though the answer critically analyses the statement, it turned out as a bit confusing write-up, especially for an ordinary reader. You intermixed lot many philosophy/psychology terms/concepts which we don’t think as necessary in a general studies paper. If the answer becomes too theoretical it would lose the readability aspect. Also give examples to prove your statements. Thank you..will definitely try to improve. In a democratic system of govt. There is sense of freedom in every individual which can go out it limits need to be have some restriction .